NO LONGER AVAILABLE FOR SALE! Contact us via LiveChat if you have any questions. ⇒ Magento 1 is about to end soon! Hence, upgrade to Magento 2 for new features and better support policy. Why, When & How? Check it out HERE! Increasing total amount purchasing from customers is your concern, isn’t you? With Magento Frequently Bought Together Extension by BSSCommerce will be your solution, also it provides more convenient and satisfactions to customers, which plays an important role in attracting new customers and keeping loyal ones. Enable to redirect customer to the corresponding product page when clicking on any product image. Enable to select product from the name list below the slider and add all selected products to card in a click. Allow customers to add all the suggested products showing in slider into a professional comparison page for easily select product. 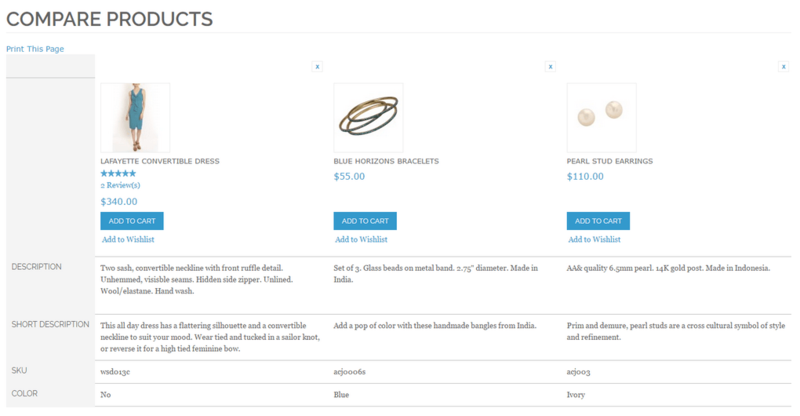 Allow customers to add considered products into their wishlists for regularly checking. Why Magento Frequently Bought Together by BSSCommerce is must-have extension? By suggesting customers some related products, Magento Frequently Bought Together Extension by BSSCommerce will satisfy them with better and more convenient shopping experiences. As a result the number of good sold will increase and your customers’ satisfaction significantly increases by suggesting related items to enhance the product and users' experience. According to many real cases, cross selling is one of most effective merchandising tool and customer-generated products suggestion is wildly successful and used by most popular online stores. Instead of searching additional products by themselves customers now have such useful recommendation. They must feel better with available products and as a result increasing conversion rate. This also is the simplest method to add community features to the store. With the simple configuration, admin can easily manage Magento Frequently Bought Together Extension, such as allow displaying “Add to wishlist”; “Compare” and the number of related product in each page. very co-operative and responsible. I will love to deal with them in future and also recommend their support and product." After installing this extension, the site looks great, works very fast and smoothy. The price is very reasonable and support is so great. Nice try! "This extension instantly increases our average total purchase amounts. Now customers have experienced optical choices and easily to make purchasing decision. Good extension!" "Wonderful! This is the first extension I bought from your site. It surpassed my expectation. Our store performance has been improved so much. Great Support as well. Thank you!" This is wonderful extension, and Customer Support is also pretty good! I'll check other extensions from BSS for sure! Holiday seasons: How to catch more customers for Magento sites?